Recently Mar Bawai Soro, a bishop of the Church of the East in California, delivered a sermon in which he reflected on the Dominical Feast of the Lord's Transfiguration (Gilyana d'Maran). It happens every year on the 6th of August. He also commented on the commemoration of the Assyrian Martyrs' Day, which occurs every year a day later, namely, on the 7th day of August. According to the Gospel of Matthew, Chapter 17:1-5, Jesus took with him Peter, James and John, and led them up to Mount Tabor. There he was transfigured before them, in a manner that Jesus' face shone like the sun, and his clothes became as white as the light. Furthermore, there appeared before the three disciples the prophets Moses and Elijah, conversing with Jesus. What is Transfiguration? In transfiguration, one transfigures, transcends or transforms. He or she goes across one boundary into another. Mar Bawai commented that: "Christians still live within the boundary of time and space, but they could also transcend by identification and communion with Christ into the 'boundaries' of the realm of God." He continued: "When we concentrate on God's presence we are lifted temporarily out of this earthly world; and for a few moments we can be transfigured." Jesus' Mount Tabor experience is essentially the source of assurance that every faithful would experience the coming Kingdom of God. Why is this explanation of the Lord's Transfiguration then tied with the commemoration of the Day of our Assyrian Martyrs? For a Christian, the significance of Moses and Elijah in the context of St. Matthew's story is that when Jesus transfigured Moses and Elijah also appeared, indicating an authentic communion between the "spirit" and that which is tangible. This revelation also signifies that the Kingdom of God is always within the context of the preservation of God's Law (Moses) and God's Justice (Elijah); they are indeed the two means that Man can transcend beyond this world and share in the promised divine life. Our Assyrian brothers and sisters who sacrificed their most valuable possession - their lives - for the sake of their beliefs, the preservation of their culture, language, religion and ultimately for the sake of the love of their brothers and sisters, transfigured into the 'boundary of the realm of God'. They were lifted out of this world and experienced that which is intangible and real. Following the example of their Lord, according to Christian belief, they have indeed experienced His salvation. "The essential attributes of our identity for which our Martyrs sacrificed their lives are God's given rights to us," noted Mar Bawai Soro. No one other than the Creator has the right to take them away. They are part of His wisdom in His Creation of this universe, and therefore part of His Justice. "The presence of the Prophet Elijah next to Jesus during His Transfiguration," commented Mar Bawai, "reminds us that the JUST death of every Assyrian Martyrs is also accepted by God, as a holy sacrifice." This week, let us remember the lives of these holy men, women, and children. Their sacrifice is the ultimate testimony to the noble and true path of nationalism and our faith, the foundations of our unique existence as Assyrians. May the souls of our noble Assyrian Martyrs rest in peace. Repetition creates boredom. 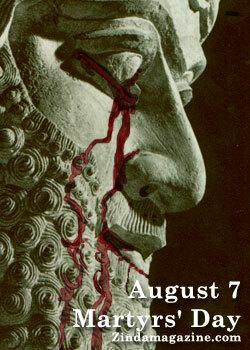 This is happening with the commemoration of Assyrian Martyrs' Day on August 7 of each year. The same faces, organizations and political parties repeat speeches of previous years. We are by now very familiar with the litany: the tragedy of Simel, the criminals of Iraqi army led by general Bakir Sidqi who martyred around three thousand innocent people, and the tragic story of the unfortunate Goreal Younan & his son. 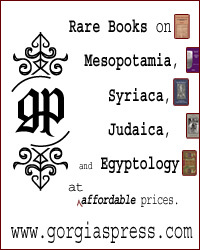 Assyrian publications as well as Assyrian websites fare no better. Likewise they adopt the "strategy" of repetition. There is nothing offered that is new and creative to make Assyrians more interested on this All-important day. The result is evident: attendance at these memorial events is ebbing, and many who show up do so as a matter of courtesy or in obedience to their political party whose "leader" will demonstrate his "Oomtanayouta" by the comments he delivers. The time has come to think outside of the box, and to consider how this annual commemoration might be made substantive and more relevant to our people. "August 7" should be seen as an ideal occasion for reflecting on our history. To this end, seminars should be organized, and our printed media should consider the publication of special editions. The comments, which follow, are offered in that spirit. Nearly all dictionaries give a convergent definition for martyr, which mainly means a person who willingly sacrifices his life, or is killed, for the sake of a principle or belief or case. In order to keep its noble meaning, some writers are associating such sacrifice and killing with a noble principle or case of social justice. Martyr could also be defined with extreme suffering, torment and misfortune. The early commonly and wide use of martyr terminology was during the early centuries of Christianity, when Romans martyred many Christians. Christological martyr means a person who willingly suffers death rather than renounce Jesus Christ or his or her Christian religion. Protomartyr means the first martyr of a belief or case. For all Christian Churches, Archdeacon Stephen is the Proto-martyr. Nearly each national church has also it own Proto-martyr. For instance, Mar Shimon Bar Saba'i , who was martyred by Persians in 341, is the proto-martyr for Assyrians and their Church of the East, and professor Ashor Yousif Bet Harboot is proto-martyr of Assyrian nationalism that was martyred by Turks in 1915. Martyrology means collective history of martyrs or their list and conditions of martyrdom. In other words, it means the branch of knowledge studying the live of martyrs. Martyrdom means the conditions, sufferings or death of a martyr. It also means an extreme suffering or torment, in such that Assyrians can be considered as a Martyrdom Nation. Martyry is a shrine, chapel or a memorial erected in honor of a martyr or martyrs, such as Baquba monument of honoring thousands of Assyrians who were massacred during the early years of the last century. It was destroyed by Iraqi Arabs in 1920 and rebuilt in Chicago in 2002 by the Assyrian sculptor Dr. Norman Sulkhah. Finally Martyr Day means a symbolic date dedicated for commemorating of martyrs as 7 August for Assyrians. Martyr is a Greek word which means (witness), the one that witnesses to an event or to testify in a legal matter. Because Greek was the language of the New Testament for the early Church, speakers of other European languages would adopt Greek words in their own languages, but they would often have a specifically religious context. This would happen in English. In English, a witness was a person who personally experienced an event or who was called to testify in a legal situation. A martyr was a person called to testify about God in a legal situation and killed because of his own testimony of belief in God. The implication has always been primarily that the person testified in some way about his or her belief and was killed because of that belief. For that reason the etymology of word martyr is with religious context. Syriac or Aramaic from the beginning was the language of the New Testament for Assyrians, for their church and religious teaching, as was their national language. Therefore, there is monism in the terminology of the martyr word in Syriac and dualism in its meaning. The word "Sahada" in Syriac means as both a witness and martyr. The latter meaning is the same as in Greek with religious context. It is worth mentioning that "Sahada" or "Sahda" as pronounced, is a personal name for many Assyrians which could be influenced by the meaning of martyr in the New Testament and martyrology of the Church of the East. But more interesting is that "Sahda" is the name for overage persons mainly of those who were born before or during or straightway after Simel massacre of 1933, and no such name can be found among generations born after that year. This could be with some sociological and martyrological prospective of Assyrians mentality related to Simel or to the previous tragic event of World War I. Nevertheless, it could be argued that "Sahda", as other traditional personal names with religious roots, has disappeared and is no longer used among new generations. However, "Sahda" name was almost exclusively used by Nestorians and not other Assyrian denominations which indicates that the tragic events of the First World War were more prominent on Nestorians' mentality and the Simel Massacre was perpetrated only against them or those who identified themselves as Assyrians or "Athoori" as Iraqis would say. National mentality is made up of stories and memories of continued accumulations of historic events in the lives of its members and eventually precipitates in their memory. Survival of such memory will remain without remarkable changes as long as the consequences of the events remain correlated to their lives, their collective entity and are capable of reflecting historic event features and symbols in present circumstances. Such events remain more influential when there is chances of comparing and resembling between past and present with regard to the similarity of the consequences and the key participants or players of the event. Through a panoramic view, Assyrians of today look at the Turkish oppression, eradication of their historic civilization and demographic displacement from their homeland as the "Seyfo" Genocide of the current time. The Kurdish assassinations of Assyrians in northern Iraq and seizing of their villages, refreshes Assyrians mentality of Badir Khan and Simko's crimes of the past two centuries. They view the Kurdish hostile behavior as unchangeable. Through the same frame of mind, Assyrians see Bakir Sidqi's vision, the executor of 1933 Simel Massacre, in Saddam Hussein's face and look at Ba'ath's Arabization policy as an episode of a long chain of Iraqi persecutions of Assyrians. Assyrian history, as we know, is replete with the martyrdom of thousands who were massacred through a series of genocides. Although some national and political reasons provide a justification for selecting 7 August 1933 as the "Day of Assyrian Martyrs", discussed in detail in my last year's article; at the same time, efforts should be made not to allow one event to overshadow the many others which have claimed thousands of Assyrian lives. The Simel Massacre of 1933 is a symbolized commemoration of all other genocides perpetrated against Assyrians during the many past centuries. Such symbolism should not shroud the far greater number of Assyrian sacrifices before Simal. Therefore, the Assyrian concept of martyr and martyrdom is not built up from Simel, rather there are hundreds of "Firmans" of massacres and persecutions which forms the foundation of such Assyrian mentality. At first glance, would such a term seem as a figurative concept and probably with a hyperbole facet? This is not true if we look at the history and literature of the Church of the East through a historic and national perspective. Doubtless, we will find a huge witnessed and documented history of martyrs' lives, lists of names, detailed stories of their sacrifices and conditions of their martyrdom. Specifically, I can refer to the great work of Fr. Paul Bedjan (1838 - 1921) in seven volumes titled "Life History of the Martyrs", printed in Paris - France (1890 - 1897), and to the Martyr Bishop Adai Shir's (1867 - 1915) book titled "Martyrs of the East" in two volumes printed in Mosul - Iraq (1900). In addition, there is more detailed martyrology specifying the lives of the martyrs & names, circumstances of their scarifying and martyrdom. There are amazing records and details on the first genocide of Assyrian Christians in the middle of Fourth century. Some of these detail refers to King Shapour II of Persia and his martyring of as little as 160,000 persons and as many as 200,000. Moreover, during the centuries following these massive massacres, there were many books and documents written mainly by clergies on individual martyrs and their tragic sacrifices. So influential were these sacrifices on the writers that later they glorified them as saints. There is more unwritten Assyrian martyrology in the extent that we can say nearly every Assyrian village or tribe or area has its own patron saint considered as martyr and has its own special commemoration and even a martyry. Some may argue that such martyrology is purely religious and has nothing to do with today's national understanding of Assyrian martyrs. Such argument can easily be refuted when we come to know that the history of a certain people is a chain of several eras and it is an organic combination of many aspects of religious, geographic, cultural and national. Due to each era's circumstances an feature always appears on the surface as a dominating element in recognizing a people's identity. So if Christianity or the Church of the East appeared in early centuries as the main factor of Assyrian collective entity, that is because in that era the emergence of Christianity and expansion of the Church of the East was a threat to other religions and Churches. At that time religion, and the church of the East with regard to Assyrian, was the only available channel to express people's national identity. W.A. Wigram has extensively researched the organic relationship between religion and nationality and has concluded that in the East religion was the determinant of nationality. In addition to the correlated Assyrian martyrology of the several epochs of history, it is very normal and logical that Assyrians produce through long epochs of a hundred and nineteen decades of dominated history of Christianity and Church of East more martyrology than the last ten decades of modern nationalism. Starting form Mar Shimon Bra Saba'i, Mar Qardakh, Mar Bihnam & his sister Sarah and all other religious martyrs passing through the period of nationalism, starting from Professor Ashour Yousif, Mar Binyamen Shimon, Mar Toma Audo, Parydon Atoraya. These were all victims of Badir Khan, Sayfo & WWI and the Simel Massacre reaching to the new generations of martyrs: Yousip Toma, Youber Binyamen, Youkhan Esho, Francis Shabo and all sacrifices of Zowaa. These and others are considered the same in the Assyrian mentality of martyrdom, and identified as Assyrian Martyrs. They sacrificed their lives for the sake of the principle or case, no matter religious or nationalist, as long as such principle or case was determining their identity as a separated and recognized nation. H.C. Luke has testified Assyrian martyrdom and reached to a conclusion that "if the people of Mar Shimun have lost the pride they held in the past, they have not lost their capacity for producing martyrs". Previously, it was testified that each era of Assyrian history produced it own kind of martyr. Since Assyrian history in question is back dated to around two thousands year and each time has it own priority of principles, commitments and cases, therefore it was very normal that different times represent different martyrs who could be for Assyrians as a Christian saint or national hero. Therefore, it is certain that we are not expecting any clergy of today's time to sacrifice his life or suffer for his principles as it was in the early centuries of Christianity, or even, giving up his brother's life for the sake of his nation, as did Mar Binyamin in 1915. Nor should we expect from today's Assyrian nationalists or their leaders that they will sacrifice their lives or take serious risk for the sake of national interests as happened with professor Ashor Yousif and Pryadon Atoray. In addition to the historical comparison, there is a geo-politics element also contributing in forming another interesting comparison between Assyrian society in the homeland and that in Diaspora with regard to the tragic nature of martyrdom and the size of sacrifices. Since the fall of their empire in 605 B.C., Assyrians remained a stateless nation and an economically destitute people without political ambition and materialistic incentive. "My kingdom is not from this earthy universe", such was their slogan. Therefore, even Assyrians expanded their religious missions faraway to the east and its followers were the majority in many provinces, including in their homeland, Bet Nahrian. But they never strived to political and military power or established a national entity. For that reason, their homeland was easily conquered by invaders and their tiny semi-independent entities were destroyed. Assyrians have neither thrones, nor a state, nor national boarders that deserve the sacrificing of their lives in order to protect them. There was no such temporal privileges to fear or to be anxious about. There was only one thing which deserved the scarifying of many lives- the Principle and the extraordinary belief in the Principle. History has proven that Assyrians were a nation of principles. Their principles were, if not the only, ssential element of surviving for such a long period despite being a tiny minority surrounded by hostile environment and widespread massacres. There were two reasons for making Assyrians' principles so powerful: the sanctity & nobility of the principle resources and the historical & continual of principles. Assyrians adopted their principles from two main and vary noble resources, Christianity and the Assyrian or Bet Nahrain civilization. The new studies confirm that Assyrians, after the fall of their empire and associating with the captivity of Jews in Bet Nahrain, had heard about the advent of the Savior Messiah and the embodiment of God in the form of a human being. This was very similar to the ancient Assyrian concept of symbolizing Ashur god as a winged-man. In addition to that, Assyrians had found out many details about mightiness and glories of their "lost" empire in the original Bible. Therefore, there was a strong tendency to accept the Savior who could save them from the unjust earthly and temporal life to immortality of the heaven kingdom; from a corrupted materialistic world to a pure spiritual kingdom. Jesus' life and sacrifice for the sake of human being's salvation was an idealistic example for their martyrdom. A careful study of Assyrian martyrology will show that Assyrian martyrs were imitating Jesus in sacrificing their life for the sake of their principles. That was their destined life. Such imitation was even in the way of martyrdom, as Mar Simon Bar Saba'i preferring the Good Friday for his execution. The imitation of Jesus was not an exclusive phenomenon to the clergies, but also to seculars. The well recorded history of the Malik Ishmael and the young Assyrian girls during the massacre of Badir Khan in mid Nineteen century who willingly preferred death, rather than giving up their Christian faith and adopt Islam, are the perfect examples. At present time, without any doubt there is not a single sign of the imitation of Jesus among the clergies. It is too far-fetched and a type of illusion in mentioning life sacrificying for the sake of Jesus and Christianity. It is too much to ask clergies to sacrifice their lives for their beliefs, because we know the circumstances of today are totally different from the early centuries of the Christianity when thousands were massacred for the sake of their faith. If life scarification is unimaginable, then what about giving up a little of their personal interests for the sake of their church or followers so that can be a "good shepherd" of today's time and good evidence for that great church and nation of martyrdom. Unfortunately, the great character of the extraordinary faithfulness in principles nearly vanished among clergies. Then how can we dare to ask Assyrians to offer minimum sacrifices for the church while its leader are not willing to give up a minimum of their personal privileges? How can we dare to ask Assyrians to be faithful and loyal descendent of that great church while it is till splitting, continuously regressing and reflecting on national level while there is no any real, faithful and practical effort from the churchy leaders towards improving the miscible situation of the church and nation? Alas to that great Church and nation of martyrdom. As we mentioned earlier, religion was the law of the East in determining nations and still is very active, in particular in the Middle East, the place of descent of the heavenly religions. Even with such priority, Assyrians were historically, culturally, linguistically, socially and psychologically different from other people who lived among then and stayed always as alienated nation from the states, which ruled them. Such differences will remain with severe boundaries if passed through long historic stages without easing or relaxing them, in particular when are in association with religion. These sever differences of Assyrians overlapped with their extraordinary faith of religious principles, which led them to unavoidable contradictions and clashing with the others. It was the deadly contradiction between Jesus Christ, whom the Assyrian Patriarch Mar Shimun Bar Saba'i and his followers worshiped, and the sun or fire, which the Persian king Sapor II and Persians adored. The same was with their followers and later generations, still valid up to now with slight differences in circumstances and priorities of principles. The several differences and severe contradictions between faithful Assyrians and powerful Turks were impossible to solve, which eventually led to massive massacres in 1915. The same was with Zowaa's martyrs Yousip, Youbert and Youkhana whose demand of the Assyrian legitimated rights was so contradicting and clashing with Ba'ath regime in Iraq and with its Arabization policy. The only available solution for the dictator was their martyrization. Although Assyrians in Diaspora are more differential from European, American, or Australian nations than Middle Eastern, such differences will not mount up to reach to incurable contradictions. The reasons for that are, firstly, there is no priority for religion in determining national boarders or to associate with national and political elements. Secondly, democratic regimes are very capable to produce peaceful solution to deal with such differences. Dealing with politics or national case in democratic societies or claiming political rights is without any risk, therefore there is no existence of typical circumstances of martyrdom and the Assyrian case cannot produce a martyr in Diaspora society. This situation is leading us to conclude that the Assyrian martyr is a consequence of national case in the homeland not in Diaspora. However, if the easy political conditions in democratic countries required no tragic sacrificing for the sake of Assyrianism as it is in the homeland, there are some other internal contradictions, related to Assyrian society and threatening its identity such as denominationalism, tribalism, individual selfishness and abandonment of national case. Solving these contradictions needs a massive sacrificing probable not by life but by what ever is valuable to such life; money, time, personal relaxation, intellectuals and physical efforts. Although these sacrifices are without direct deadly risk, they can produce circumstances for indirect martyrdom by scarifying requirements of personal life. This is what makes the concept of martyr and martyrdom between Assyrian society in the homeland and that in Diaspora so different. The perfect example of Assyrian martyr in Diaspora is Malfono Na'aom Fa'aiq (1868 - 1930) who sacrificed all necessities of his life for the sake of his nation. He spent all his time, intellectual and physical efforts and even his personal happens in order to serve his nation. He financially supported and published his honorable magazine (Bet Nahrian) from his daughter's salary that she was the sole bread earner of his family of five members. Because of his financial destitution, psychological anxiety and physical exhaustion eventually became sick and was then martyred. It goes without saying that the survival of Assyrians in the face of a long and tragic history is due in no small measure to the thousands of martyrs whose lives were sacrificed for the Christian and national principles. Through out this ordeal, the spiritual side always played a far more significant role than the material side in defining the essence of Assyrianism. " Do not be afraid of those who kill the body but cannot kill the soul"(Matthew 10:28). The Ba'ath regime hanged Yousip, Youbert, and Youkhana, but their national spirit remained steadfast and even grew, permeating Assyrian land and infusing the Assyrian Democratic Movement with more zeal and determination. As result, this led to thousands of Assyrian children sitting in classes where their mother tongue is the language of instruction for their various subjects. The national spirit can and does stay with Assyrians, even those living long distances from the land of Ashur. History has proven that physical attributes do not determine one's Assyrianism. Our national feeling is the key. It is obvious that a nation without spirit is a dead nation. We may lose our homeland, force our national language and traditions to extinction, but we can survive if we hold a national feeling, will and determination of being Assyrians. This "feeling" grows out of a long and hallowed tradition of Assyrian martyrs. The creative and untouchable spirit of Assyrian martyrs will remain forever as a symbol of Assyrian immortality. 1 - English Plus, Newsletter online, February 2002. 4 - W.A. Wigram, Introduction to the History of the Assyrian Church, reprinted copy in USA, page 66. 7 - J.P. Asmussen, The Early Spread of Christianity in the Iranian Empire (100 - 633), Translated, edited and commented by Georgis Fat - Hullah, Zahrira Publication, Stockholm, 1998, P.36. 8 - It is very amazing that these three Assyrians martyrs have names starting with the same three letters (Y, O and U) and it is the same in Syriac and Arabic. I personally witnessed the time of arresting 21 members of Zowaa in July 1984 and martryizing these three in February 1985. All of them were unfairly accused as criminals dealing with foreign countries against Iraqi regime without any witness and prove. 16 of them were received life imprisonment, one 15 years and the remaining three were executed. Before their martyrizing, and during my first visit to these 17 Zowaa member imprisoned in Abu Ghraib prison, I heard from few members of the Iraqi Communist Party and AL Da'awa Islamic Party who were in the same cell with these three Assyrian martyrs waiting for execution day. They told me to not be worried soon they would be covered by the President pardon and their verdict will reduce from execution to live imprisonment as happened with them. However, this did not happen with the three Assyrians. At that time, Rumours were spreading among Assyrians that the President said; Assyrians done it twice and this is third time and I will break their noses. No one concluded what he meant by two times. Could be Simel in 1933 and Falojah in 1941? 9 - Aprim Shapera, Na'aom Fa'aiq - The Master of the National unification, Sargon publishing house, Sweden, 2000. Throughout history, the Assyrian nation faced continuous persecution in Assyria Mountains (southeast of current Turkey) and in Assyria Plains (north of current Iraq), and to Lake Urmia and Plain Salamas on the Iranian-Turkish border. In 1843, the Ottoman Sultan & the missionaries pushed the Kurdish leader “Badr Khan” of “Botan” district to massacre the Assyrians. Later, in 1908, the “Mujadideen” coup in Turkey called for the “Turkification” of all the inhabitants of the Ottoman Empire. These events as well as others, led to the uprising of the Assyrians, who began to fight back during World War I when they joined the Allies to rid themselves of the Ottoman persecution. With the help of the Russian Government, an Assyrian army was developed, which broke down the German-Turkish plan to occupy the Caucasian mountainous area. Then, in Iraq, the Turks were driven out of the northern area by means of the Assyrians. However, all the fight and sacrifices that started in 1915 in Turkey, lasting until 1924 in Iraq only benefited the Allies, who completely forgot the fate of the Assyrian nation. Factors such as power imbalance, lesser army and weapons, poverty, hunger, cold and thirst, indiscriminate hatred, religious fanaticism, and ally betrayal lead to the demise of the Assyrian army after nineteen years of existence. These factors plagued the little Assyrian nation during World War I and beyond. Despite all that, the Assyrian nation showed second-to-none bravery in the history of any nation as described by researchers and Allies officers, such as the English General Dunsterville and the Russian General Buratoff, who spoke of the high spirit of this friendless nation. From August 6 to 11, 1933, a mass slaughter in Northern Iraq was carried out against the Assyrians by the Iraqi army, under the supervision of the British government. The largest portion of the Assyrians was migrated out of Iraq, weakening their hope to establish an independent state like other states in the region. Soon new parties and associations were calling for the Assyrian nation’s rights. And thus, the Assyrian Universal Alliance (A.U.A) was established, which designed the Assyrian nation’s flag in its first conference in April 10, 1968. On August 27, 1970, during its third yearly conference in Coln-Germany, it was decided that the August 7th of each year to be recognized as Assyrian Martyrs Day. An eyewitness who was one of many who lived the massacres and persecution in WW1, told the story that I am presenting with some clarifications that I made. His name is Benyamin Shlemon Benyamen and he was ten years old when the following events happened. Shlemon was born in 1908 in the village of Ardasheer in the “ Urmia” district (Land of Water in Assyrian). He immigrated to America in the early 1920’s. My story will focus on the suffering that my family and I endured as well as the rest of my countrymen during the massacres of World War I (1914-1918), our migration from our land, and our stay in the refugee camps from 1918-1920. During the years 1914-1918, when Turkey and Germany were Allies, they spread their army in the Balkans on the border of Russia, and in the north and northeast. During this time, the Russian army kept its position in the Caucasian Mountains and the Iranian-Turkish border. The Turks, who hated the Christians, were at the same time kept under pressure by the strong Russian army, who protected the Assyrians and Armenians. When the Russians withdrew from the war zone due to Lenin’s Revolution in 1917, the Turks took the opportunity to attack the Assyrians and Armenians. During this time, there was a Kurdish leader named Simko Agha (A previous Russian ally) who worked secretly for the Iranians and Turks to annihilate the Assyrians. He was hoping to achieve something for the Kurds who lived in Iran. Simko requested a summit meeting with His Holiness Mar Benyamin Shamoun -- the religious and timely leader of the Assyrians. His Holiness accepted the invitation only after insistence from Captain Gracy, the British officer of the Intelligence Service, in the Caucasian frontline. The Patriarch took with him a hundred of the best Assyrian knights since Simko was known for his hatred (The Assyrian historian, Benyamin Arsanis, writes that His Holiness was under the protection of three hundred fighters). On March 3, 1918, the Patriarch’s parade arrived at Simko’s city, Koynashahr in Iran, and Simko welcomed him as does a servant for his master. Talks were mutually cordial. One in the Patriarch’s company noticed that certain Kurds were positioned on top of the houses surrounding the meeting place, as well as hundreds more positioned on top of every house in the city. After the discussions ended, Simko left accompanied by the Patriarch for parting. As soon as Simko entered his home, his fighters opened a barrage of gunfire from all directions. His Holiness was martyred along with ninety of his knights. From the entire parade, only ten were able to escape after many fights in the city, six of the surviving ten were injured. This event ended the fate of the Assyrians. After the assassination of the nation’s leader, the Turks and Kurds positioned their forces at Sera Mountain near the Turkish city of Van and at Khoy city in Iran. They surrounded the city of Urmia and the region of Salamas. The first invasion into Urmia started at Mountain Sera. On March15, 1918, heavy fighting began between the Assyrian and Turkish armies that lasted for six days. In the end, the Turks were defeated and hundreds of Turkish soldiers and officers were captured at the Salamas frontline (Checklovski. Memorandum 70). The battles continued until June 1918. The Assyrians were surrounded by the Sixth Turkish Army (consisting of sixty thousand soldiers, and the Kurdish tribes of Herki and Shikak (Simko, the Patriarch’s killer), plus the nomad Kurds of Baradost, and the Persians from the other side. The battles finally ended in the defeat of the Sixth Turkish Army under the leadership of General Ali Ihssan Pasha. Jodat Beg replaced Ali Ihssan Pasha who was punished after his defeat. Jodat Beg slaughtered the weakened Assyrians wherever he found them. Eventually, the Turkish force of Haider Beg and the Iranian forces under the leadership of Prince Majeed Al-Sultana were destroyed. After the enemy observed the depletion of Assyrian weapons and realized the Russians were occupied with the Bolshevik Revolution, they assembled a powerful army. That was when the Assyrians realized that they could not continue fighting any longer. Chaos ensued, and when news came that a large massacre of the Assyrians was about to take place, the citizens became more alarmed. The Assyrians fled Urmia and the surrounding villages. Therefore, the only protection the Assyrians could then get was from the English, since the Russians had pulled out of the area. The Assyrians headed south toward Hamadan and Kermansheh, (about 700 kilometers south of Urmia), walking in between enemies lines. My uncle Poulos was one of those fighters who brought the warning to leave Urmia, and was later arrested and killed by the Turks, who also imprisoned my younger uncle Petros. My grand mother, Hanna, decided to visit him after she learned of his imprisonment. However, when she arrived, the prison guards wouldn’t let her see him. As she insisted, they threw her on the ground and stabbed her to death. My mother and aunt later learned that my uncle Petros was already dead in that prison. Heavy attacks resulted in the killing of 14,000 Assyrians in Urmia and its surroundings, in addition to 11,000 killed during the crossing from Urmia to the current Armenia. After the attacks, the Iranian Prince Majeed Al-Sultana proudly said “Tonight, my forces by themselves sent two thousand infidels to hell.” During that time, group migrations from Urmia started toward the south. The Assyrian forces (Salamas army under the leadership of David Bet Mar Shamoun, the brother of the martyred Patriarch) battled at the Turkish border trying to delay the Turks from reaching Lake Urmia and warning the people to leave soon before a big invasion would happen. My family took as much food, drinks, and clothing able to load into a wagon. My father, mother, older sister, younger brother and sister and I, left in a carriage and with us a buffalo, leaving our possessions, our home, and our beloved village behind, that was in the summer of 1918¼when I was ten years old. As we proceeded south and could no longer see our village, we began to see thousands of other Assyrians who had left their villages. We joined them in one caravan that consisted of the Assyrians of Hakkari (Turkey) and Urmia (Iran). The estimated number was about 253,000 Assyrians (Checklovski. Memorandum 159). My older sister, Sorya, her husband, and their child Yonathan joined us. The caravan stretched about eighty kilometers, with some people walking, some on animals, and some in wagons. Turkish military plans were to divide the caravan into separate groups of thousands along the march from Urmia to Hamadan. The Turks supporting the Turkish and Iraqi Kurds came from Rawandoz from the west (Iraq), and the Persians and Iranian Kurds from the east. They wiped out one group after another, taking advantage of the Assyrians, who were without adequate weapons. In one of the battles near Soldoz, about forty thousand Assyrians were separated from the caravan until the arrival of the leader Dawoud Mar Shamoun. He along with his brave fighters was able to rescue them (M. Amira P:326). On the way, my sister Sorya’s son passed away and because of the ongoing battles there was no time to bury him. We tied his body to a horse’s saddle in the hope of taking a break later so we could bury him according to our religious practices. We never had time for break, I never forgot how some friends and the rest of my family convinced my sister and her husband to leave Yonathan’s body under a rock. Some days later, near the Iranian city of Saj Bolaq, a group of Assyrian fighters came to protect the end of the caravan. The following day, we heard that the Turks were defeated at the end of the caravan and several of their soldiers were captured. Thus, after long and hard days of walking in the mountains, the fighters’ leadership finally allowed us to rest. Tens of thousands of women and children stayed under the light of the stars, near the city of Sayinqala (Shaheen Castle or Shaheen Daz in Farsi). As the morning light began to burst from the horizon, the rested population was warned by the leadership to get up and leave, as the Turks and their Allies were advancing to attack again. As young as I was, I never forgot the panic and the pandemonium amongst the people. In a matter of minutes after the warning, the cannon shields began exploding in the midst of the crowds. My dad strapped me onto the Buffalo’s back in a rush. The buffalo took off directly to a river, (probably Zerineh river), a small distance from the place where we rested. The buffalo, thirsty, went into the middle of the river, with me still on his back and started drinking. By then, the groups were about half a mile from me, leaving behind them the silence of the dead and the crying of the orphans who gave up to tiredness and swelled feet. Then, the animal started moving quickly to the other sideof the river. When he shook his body to remove the water from his thick hair, I fell to the ground and he moved away. When my mother saw that I wasn’t on the buffalo’s back, she told my father who searched, unsuccessfully, for me. He thought that I drowned when the buffalo crossed to the other side of the river. He re-joined the caravan disappointed, and he told the family members that I drowned and that he didn’t find my body. I am sure that I fainted when I fell down from the back of the buffalo, as I woke up when the sun was in the west, which means that I was unconscious from sunrise until sunset. I looked around and saw an old bridge in the distance. I headed toward it and sat on the rocks below its base. Soon I heard someone calling in a low shaking voice, “My son, are you Assyrian?” In a crying voice I answered, “Yes, I am Assyrian.” It was an old lady who was skinny and weak. Two little kids and a girl older than me were with her. After a period of crying I asked her about my parents, and she said that she didn’t know them. She started crying too, She told me that her son and his wife died during the attack on the caravan, and the three kids were her grandchildren. We all slept that night under that bridge. In the morning, we woke up and washed our hands and faces. I remember that she had a white handkerchief by which I wiped my wet hands and face. Suddenly we saw on the other side, a group of Turkish soldiers who came to rob the corpses that were left from the attack on the caravan. The soldiers saw us and signaled for us to go to them. We crossed the river, soaking our clothes, and went to them. They asked the old lady, in Turkish, who we were and what we were doing there. The frightened woman answered, “We are Assyrians and we fell behind the caravan.” One of the men took away the older granddaughter and put her in his mate’s hands on the back of a horse. The man who talked to me was neither Turkish nor English, but the rest were English. There were around ten or fifteen men with saddled horses. One of them picked me up and put me on his horse’s back. As far as the old lady and her grandchildren, they put them in a small military carriage. They took us all a long distance to their base, where there were many other soldiers. A doctor treated me and told me I had Malaria. The next day, I was separated from the old lady and her two grandchildren and never saw them again. Left alone, I walked toward the people who were camped in Qasr Shireen, which is close to the Iraqi border. I sat confused, watching the people and I soon began to recognize some faces. I started hearing their discussions; they were mostly talking about the deceased and missing. Everyone was searching for his/her kids. (The researcher Checklovski, states that around fifty-four thousand people were killed along the way, while the English Stafford confirms that the number of dead was 1/3 of the people, between eighty to eighty-five thousand Assyrians Martyres). In the morning, I saw the groups of people getting ready to leave, so I walked in between them, however it was difficult due to the Malaria. A man saw me and felt pity for me, so he took me and put me in his buggy with his four children. They looked more malnourished than me. (At the arrival of the Assyrian caravans, the English welcomed them as heroes. And days later, they forced the exhausted nation to pave the way from Hamadan to Khanqeen through Kermansheh, that is, around one hundred-eighty kilometers. About sixty people died every day under the conditions of disease and hot weather ( Arnold Wilson, Mesopotamia , P:36). I don’t remember the time it took to get to the Iraqi city called Khanqeen, however, it seemed like it wasn’t far. Khanqeen was on the Iraqi-Iranian border. We stopped a short distance away from the city. The buggy’s owner informed me that he saw many people from my village, so he lifted me out and showed me how to get to another caravan that had arrived a day before us. My temperature still very high, I walked until I saw my cousin. I called to him and he ran away immediately after seeing me as if I had scared him away. He was one year younger than me, but just as weak, he too infected with Malaria. My condition didn’t permit me to run after him. I saw him from far away talking to a woman and he was pointing my way with his hand. The woman made her way across the people. I saw the lady crying, screaming, and running towards me. She was my lovely mother. She hugged me, kissed me, and cried uncontrollably and started calling my father. My father, with another man, was dividing a sheep before slaughter. He turned around, knife in hand, answering my mother when he saw me with her. He kneeled and started screaming, “Oh God, oh God”, and he too took me, hugged me, and kissed me. He started asking me, “Where were you all this time?” and before I answered him, he told me that a woman had told them, “I saw your son dead. Be grateful that he didn’t have to suffer like the rest of us. I saw him while I was walking with my husband to identify the corpses on the way.” When my father heard this, he was certain I was dead. And being a devout Christian, my father had prayed for me. I explained to him that she definitely saw me passed out after I fell from the buffalo’s back, so she thought I was dead. We both quieted down after this discussion. I asked about my sisters Marta and Julia, and my brother William. My mother said that William and Julia are asleep, while my sister Marta was standing somewhere near. I asked, “Where are they sleeping?” She answered, “They’re not well”. We went to them and my father called, “William, look who came?” William woke up and called me in a shaken voice. The next morning, William passed away from Malaria. Sadness came back to our hearts. My father and another man took the body, wrapped it in a piece of fabric, and buried it far away. Two days later, my sister Julia passed away because of the same disease and was buried in the same way. My father happened to take some medications to William and Julia from the medical team that was treating thousands of patients in the refugee camps. As my condition became more severe, my father started giving me three doses in the day and one at night. We later heard official news that a high-ranking English leader decided to move us west to Ba’quba. Everyone was eager to hear this news. We heard that help would be given to the sick and orphans. We were transported to Ba’quba and the refugees were divided as the following: thirty areas, each area contained thirty tents and sixty persons in each tent. Our area’s number was twenty-two. Diseases such as malaria, typhoid, tuberculosis and other illnesses due to malnutrition and drastic temperature changes were found in the Ba’quba camps. There was a large tent for medical services, and new arrivals were a priority. The health situation was very bad, such that both the healthy and ill people used to be in the same tent, thus, spreading the diseases. About thirty-three thousand of the infected people died in the Ba’quba camps (M. Amira, P: 329). We stayed in the camp until our nation decided to return to its land by force. It wasn’t in the best interest of the British government for the Assyrians to return to their lands, as they wanted to keep the Assyrians in Iraq in order to drive the Turks out of Northern Iraq. The British believed that the mountainous Assyrians were perfect for fighting in the rugged mountains, which eventually happened. Every Assyrian leaving the camps had to sign a petition to show that he was leaving voluntarily. That was what many did, including my father, and I still hold a copy of his petition. We immediately went to Baghdad and there we took military buses and headed north to Mousel. The men started to set up a temporary camp in the Mandan area on the banks of the Tigris. During our stay there, my father took me to Mousel, which wasn’t very far from Mandan. After my father ran some personal errands, he asked me, “Son, do you want to see the ruins of Nineveh?” I didn’t know anything about this city so I told him “Yes, I want to.” Nineveh wasn’t more than three kilometers from Mousel. It contained many miles of ruins and small portions of its wall were still standing. I looked at my father and saw tears in his eyes. I asked him why he was crying, and he answered me with regret, “Son, these ruins used to be the capital of the Assyrians in its greatness.” He stayed seated, contemplating quietly, and at sunset we went back home. After sometime in the new camp, the refugees decided, because of a promise of help from the English, to put together a military unit. The unit consisted of fighters capable of scouting a way to our lands from behind the mountains. The distance between Iran, Iraq, and Turkey is very little since they are neighboring countries, and the distance to Lake Urmia and its surrounding areas is not far either. The unit headed to the mountains where it met some Kurdish tribes that knew the area very well. The unit was forced to face the Kurdish tribes alone. After a bloody battle, the surviving Assyrians made their way back to the camp. One of them was my cousin who brought with him a body of a relative on his horse, then my father decided to leave. I was too young to understand our family’s secrets, but I remember that we had in the village some kind of a heavy vest, like a jacket that I wore when I was ill. And before my separation from my family in “Sayinqala,” it happened that they took off that vest, and when I was in Ba’quba, I noticed that my father and sister Marta were wearing similar vests. I remember my mother hiding Iranian gold in those vests and on the mules’ saddles as well. I also remember that my father often used to leave the camp, to go to Baghdad to sell gold pieces to a Chaldean (a Catholic Assyrian). After our return to Baghdad, my father received a letter from my brother Pera who was studying in the United States, asking him to return and stay in Ardasheer. It seemed that Pera didn’t know it was impossible since our safety wasn’t insured among the Muslims. After reading the letter, my father went to the American Council in Baghdad and asked for immigration to the United States. We left Baghdad on a riverboat named Majeeda to Basra’s port in Southern Iraq. We waited at the port for four nights until we departed by the care of the English freight line “Castalia”. All this happened in the twentieth century under the English supervision, that used to send their scouts from time to time to look over the caravan’s success in crossing the Western Iranian valleys and Zargros Mountains, only to retreat after they achieve their goal. Assyrian hopes were renewed after the peace treaty between England and Turkey in October 1918. Instead, this treaty brought to them more woes as well as an agreement to divide the borders between Turkey and the current Iraq in 1925. That was when the Assyrians realized that the English betrayed them and they would never return to their mountains, which embraced their villages and first Christian convents. The Assyrians then wrestled with a new chain of conflicts, which ended in a mass massacre in August 1933, on the hands of the Iraqi army and under the open supervision of the English Government, which then controlled the international opinion, just as the U.S. today (Refer to Al-Shiraa’ Magazine, No. 940, 7/10/2000). In their role, the Russians weren’t any more faithful than the English, in such that they lured the mountainous Assyrians during World War I from Hakkari to Urmia where arms storage places were located. Unrealistic plans to establish an Assyrian state began, and that was so the Assyrians would stand in the way of the Germans and Turks in the Caucasian and Azerbaijan Mountains. That was what happened despite the continuous seeking of Turks and Germans to cross to Azerbaijan. However the Assyrian leadership always refused since it didn’t believe in their false promises, and the history before World War I is a good proof. This was a simple story told by one of hundreds of thousands of Assyrians who suffered severely on the hands of the Turks and Kurds. Today, the Turks deny any involvement in the massacres committed against the Assyrians. They ignore the diaries of the foreign missionaries, diplomats, and observers that caused goose bumps to a point where world newspapers then described it as the greatest destruction in the history of humanity--not including the massacres that were happening against the Assyrians in Tour Abdeen, Diyar Bakr (Amed), and Urhay (Land of Life) as well as others in today’s Southern Turkey. The Assyrian nation lost more than two-thirds of its population due to English conspiracies, Turkish envy, and Kurdish betrayal of Assyrians. For centuries, the Kurds persecuted the Assyrians without any cause other than for robbing and stealing for some money that the Ottoman authorities bought them with. Then, when the western “missionaries” started targeting the Assyrians, they paid the Kurds to harass the Assyrians, to force them to catholicize in order to seek protection. This only caused more splits of the Church of the East. The Catholic Assyrians were named “Chaldeans” to be differentiated them from their Assyrians brethren which were falsely known as “Nestorians” . This is similar to the Turks buying the Kurdish religious and tribal leaders in WWI to use them against the Armenians and Assyrians and then hit the Turkish Kurds themselves, and those kurds joined the oppressed nations and became people with a case. Today, there are some embarrassing alliances between the Assyrians and Kurds in Assyria, which the Kurds consider as part of the so-called “Kurdistan.” However, these alliances remain engaged to the Kurdish treating toward the Assyrians who became a minority due to the Kurdish practices from one hand and other governmental rules in the Middle East from another. The majority of Assyrians live in Diaspora after living thousands of years in their Assyrian land and giving the principles of science and religions to the world, While surrounding nations enjoyed independent states, only because of decisions made by superpowers that divided the area according to tribal arrangements and oil fields locations. Religiously, the Assyrians belong to the Christian faith and are divided into many sects. The most important churches are: “The Assyrian Church of the East” (which is wrongly defined as “Nestorian” or “Assyrian Church”), the Chaldean Catholic Church (Uniate with Rome), the Syrian Orthodox Church, the Syrian Catholic Church, and the Evangelical Church. All together the Assyrian population is estimated to be 2,800,000. To this day, the Assyrian nation still fights for its rights such that there exist Assyrian national organizations in Diaspora. Different committees consisting of Assyrian, Armenian, and Hellenic, are trying to rally world opinion at the time when Turkey is trying to enter the European Union and that is so to put pressure on Turkey to officially admit as to the massacres committed against those nations. However we very well know from past lessons that resolving this issue is politically motivated by European countries’ interests. The Turkish State began to put a significant importance to the Assyrians’ call. On 3/6/2000, its intelligence service presented a detailed report on the active Assyrian parties and institutions with special emphasis on the ones in Europe and United States. “Our Smallest Ally” by Rev. Dr. William Wigram. “The Assyrians and the Assyrian case in the contemporary history” by Prof. Constantine Petrovich Matviev. (ZNDA: London) A petition opposing an attack on Iraq was signed by several thousand Christians including the future Archbishop of Canterbury. It will be handed to the British government this week. More than 2,500 groups and individuals, from leading churchmen to theologians and ordinary church members of different denominations, signed the protest condemning a potential attack as "immoral and illegal." (ZNDA: San Francisco) With all the talk about the difficulties of a possible U.S. invasion of Iraq, I was surprised to learn that Narsai David has been crossing the border into northern Iraq since 1995. The Berkeley food and wine expert has been visiting various humanitarian projects funded by the Assyrian Aid Society of America, of which he is president. How does this most civilized of Bay Area foodies get past Saddam into Iraqi Kurdistan? It's as easy as his grandmother's miniature stuffed grape leaves, which aren't that easy at all. "We flew to Damascus, drove across the desert to the Syrian town of Qamishleh and took a boat across the Tigris," David said of his visit to the land of his Assyrian ancestors in May 2001. "On the other side we saw a huge sign, in English, saying, 'Welcome to Iraqi Kurdistan.' "
David said it was refreshing to see how well the Muslim Kurds and the Christian Assyrians get along. The parliament of Iraqi Kurdistan is 5 percent Assyrian, reflecting their status as a respected minority among the Iraqi Kurds. The Kurds and Assyrians, in turn, are oppressed minorities within Iraq, which barely tolerates the provisional state of Iraqi Kurdistan. According to David, the open-air markets of cities like Erbil, the oldest city in the world, have more food and goods than those of the Iraqi markets under Saddam's rule. Still, Saddam's sword always hangs over northern Iraq. "The no-fly zone is keeping Saddam Hussein out," said David. "Everybody in the north is frightened to death that if the planes stop flying because of a rapprochement with Saddam Hussein, they're finished." David and I sat at lunch pondering the meaning of all the Pentagon leaks of plans to invade Iraq. The U.S. has been talking about using Iraqi Kurdistan as a jumping-off point for the invasion. The residents of the region have been left in the lurch by the U.S. before. After the Gulf War, our current president's father urged the Kurds to fight Saddam, then left them to be slaughtered, along with Assyrians and other minorities. French scholar Gerard Chaliand calls the provisional entity of Iraqi Kurdistan "a living paradox. . . . It is internationally protected and is developing because the regime of Saddam Hussein, which has shown itself to be their worst enemy, continues to endure." Chaliand said he hoped that if a new authority emerges, the Kurds won't again be "the designated sacrificial victims, condemned to another exodus." The same goes for the Assyrians, victims of many a forgotten exodus and ignored slaughter. When the great Assyrian and Babylonian civilizations fell in the sixth century B.C., Assyrians were left scattered across Iraq, Iran and Turkey. In the first century A.D., they were the first nation to accept Christianity. In the early 20th century, the Turks slaughtered Assyrians, along with Armenians. Surviving Assyrians fled to Baghdad, suffering the loss of a third of their remaining population along the way. In 1933, the Iraqis massacred them. Now, 3 million Assyrians are scattered from their homeland in northern Iraq across the world. The biggest Assyrian population centers in the United States are Chicago, where Narsai David was born, followed by Turlock, where he moved when he was 11. David and his fellow Assyrian Americans do what they can. San Jose dentist Dr. Ashur Moradkhan donated 81,000 fruit trees to be planted in northern Iraq. The Assyrian Aid Society, founded after the Gulf War, has built schools, homes and churches in northern Iraq. It has provided water, generators and textbooks, and has paid for teachers and medical care. Its Web site is www.assyrianaid.org. Yes, there is a food angle. David, who for years ran Narsai's, the fabled restaurant in Kensington, is holding a fund-raising dinner at the Ritz Carlton in San Francisco on Nov. 15. The dinner, sponsored by the likes of Sen. Dianne Feinstein, Sen. Barbara Boxer and all the mayors named Brown, will feature the great Egyptian-born chef Michael Mina, Israeli chef Israeli Aharoni and Israeli-born Michael Ginor of Hudson Valley Foie Gras. "If I could only find a way to get a Palestinian chef here," said David. I think he'll find a way. After all, this is a guy who can get into Iraq. And he doesn't need an F-16 to do it. (ZNDA: London) The Iraqi Free Council [IFC] Chairman Sa'd Salih Jabr has welcomed Washington's invitation to six Iraqi opposition leaders to meet with officials from the State Department and the Defence Department on 9 August, and called it "a positive step". He also called on Washington to broaden the invitation and invite the Assyrians and Turkomen to this meeting. In a statement received by Al-Hayat newspaper, Sa'd Salih Jabr called on the US administration to broaden the invitation to Iraqi dissidents "to include a larger number of opposition forces and figures, to ensure that most factions of the Iraqi people are represented," adding that "the Sunni representation is very low, while the invitation did not include the Turkomen and the Assyrians". Credible sources to Zinda Magazine indicated at press time that an invitation was not received by either of the major Assyrian political parties. One Washington source also indicated that the meeting may be postponed until the following Friday. Today, in a historically unprecedented move at the request of the Assyrian Universal Alliance, the New South Wales Local Government Association has recognised the Assyrian Genocide. This is the first instance of a governmental authority in the world recognising the Assyrian Genocide. The NSW Local Government Association has further passed a motion asking the Australian Local Government Association to also recognise the Assyrian Genocide. The President of the Executive of the NSW Local Government Association, Councillor Peter Wood also proposed that the Association send letters to the Premier of NSW, Hon. Robert Carr and the Prime Minister of Australia, Hon. John Howard, to urge them to recognise the Assyrian Genocide. This constitutes an extraordinary moment in the history of the Assyrian nation. The Assyrian nation waited for 87 years for the recognition of genocide perpetrated against them by the Ottoman Turkish government under the leadership of a chauvinistic party, the Young Turks. The Young Turks had the intention of the elimination all the Christian peoples residing in the Ottoman territories. Although it is relative widely known that an Armenian genocide occurred in 1915, the world is unaware that a "forgotten holocaust" against Assyrian also took place. In fact nearly two-thirds of the Assyrian population disappeared under the Ottoman sword. Had it not been for the resilience of the Assyrian peoples who survived under adverse conditions for several millennia in their historical homelands, the world would not have known their existence. The Assyrian community would like to thank the NSW Local Government Association for having the courage to acknowledge and recognise this historical injustice. The Assyrian Universal Alliance would also like to thank Councillor Peter Wood, President of the NSW Local Government Association for his strong support and Councillor Anwar Khosaba, Mayor of Fairfield for his tireless effort to represent the Assyrian community and his endeavours in encouraging the NSW Local Government Association to recognise the Assyrian Genocide. Special thanks are also due to Ms Suzy David who conducted research and prepared and presented a speech to the Executive of the Association and to Dr. Racho Donef for his attendance, support and valuable input in to the presentation. The Assyrians have a long history of immigration to Australia. Atrocities committed against Assyrians in the Middle East forced them out of their homeland. Australia provided refuge for many Assyrians feeling persecution. In turn, the Assyrians contributed greatly to the development of this country as a great, multicultural and dynamic nation. Ms Suzy concluding her talk she urged the Association to recognise the Assyrian Genocide because "This vibrant community cannot cease mourning its tragic past when its people remember that they are the children and grandchildren of those who even to date have vivid memories of the horrific events of a genocide that shaped their present status as a stateless nation. Today, Assyrians live in a multitude of countries in the Diaspora. They do not have a choice of living in an Assyrian homeland. There is no Assyria. For the Assyrians here home is Australia. It is in this context and in the context of universal human rights that the Assyrian community, as part of the Australian community pleads that this ethnic, religious and cultural genocide of their people be acknowledged and recognised." (ZNDA: Los Angeles) The city of Los Angeles is offering a $25,000 reward in an effort to help solve the October shooting death of the Assyrian liquor store owner, Ramez Youan. Homicide detectives are asking for the public's help in finding the killer of Mr. Younan, 50, of Granada Hills, whose body was found on Oct. 17 behind the counter of his store in the 14000 block of Hubbard Street, said Det. Frank Bishop of the Los Angeles Police Department's Foothill Division. Anyone with information is asked to call the Los Angeles Police Department at (818) 756-8863. (ZNDA: New Britain) Charles W. Warda of Newington, Connecticut died peacefully Saturday, (August 3, 2002) at New Britain General Hospital. Born in Chamakiee, Iran. he came to the United States at the age of ten. Charles was a longtime resident of New Britain, moving to Newington in 1961. He was employed at Fafnir Bearing Company for 31 years, where he patented an Invention for a ball bearing locking device. He retired in 1980. Charles was a longtime member of the South Congregational- First Baptist Church in New Britain; and was a member of the Assyrian Club in New Britain and the Purdue Alumni Association. He is survived by his wife, Barbara (Rowe) Warda; and two children, Charles Clark Warda of Hartford and Sarah Esther Warda of New London. He is also survived by his nieces, Julia Sargis of New Britain, Mayumi Wiley of New Jersey, Elizabeth Scranton of Washington state; and nephews, James Sargis of New York City, Bradfield Scranton of Georgia, Christopher Scranton of Oregon, Kenneth Wiley of New Jersey; and a sister-in- law, Jane R. Scranton of Rhode Island. Funeral services are Wednesday 10 a.m. at South Congregational-First Baptist Church, 90 Main St., New Britain. Burial will be in Fairview Cemetery. Calling hours are Tuesday 4-7 p.m. at Carlson Funeral Home, 43 Franklin Sq., New Britain. In lieu of flowers, contributions may be made to the South Congregational-First Baptist Church Memorial Fund. Share a memory of Charles with the family in the online guest book at www.carlsonfuneralhome.com. In recent years I have stopped viewing BBC television channels, but I must admit that I still watch a few selected programmes like soap opera for example and that I sometimes do flip channels to see what is on the air. BBC stands against my Assyrian and Christian convictions and remember it is one of the remnants of the past geriatric imperial power which brought disasters to us Assyrians, one among other world's casualties. Very recently while on holiday outside the UK and while flipping channels and by mere chance, there is our Assyrian 'activist' Mr. Albert Yalda on BBC World channel. It is 7:30 pm on Thursday 18 July 2002 and Mr. Albert Yalda is vis-a-vis with the presenter of the Hard Talk programme, a thirty-minute question and answer tough talk. Mr. Albert Yalda is known to us in recent years, but this is the first time I see his figure and real image. Handsome, smartly dressed and speaking a good English, but not perfect, is presented as a 'leader' of the 'Iraqi National Coalition'. What a departure from a fake world that almost dominated our land for nearly a century, to a real world, that a Christian Assyrian speaks on behalf of a feeble and bedraggled Baghdadi opposition? Mr. Albert Yalda, on camera, never mentions that he is Assyrian Christian and talks about the unified of the present un-unified opposition and the brighter future it holds for a country after the tsunami wave hits. He mentions twice the words Assyrians and Christians but in random order, which made me think that Mr. Albert Yalda does not assert the Assyrian agenda, but speaks as Baghdadi for Baghdad, the status quo or the status quo ante, in which, all to me are of no avail to us Assyrians. He asks for regional and international help to smash the Baghdadi structure, but avoids the word 'invasion' from outside and in one case asked for the US and British support. He indicates that what he is representing is able to bring down the 'Jericho Wall' by a blow of a trumpet and obliterate once and for all the Baghdadi shabby regime but must have 'foreign' air cover to achieve that According to him freedom and democracy will reign in Baghdad once the sultan is gone, but we all know that the Arab and Muslim nations have known neither freedom nor democracy. This Sunday, 28 July 2002 at 4.15 pm Mr. Albert Yalda appeared on SKY NEWS channel but for just a few minutes talking about the same subject, but I was busy talking on the phone and could not listen to his words. First I thought that Mr. Albert Yalda is acting alone as an individual Assyrian, but according to Zinda Magazine he is representing a mix of Assyrian groups. Anyway, at last the Assyrian voice has come to the fore and Mr. Albert Yalda is giving a good image for those dervishes squatting in the background, a myriad of failed individuals made Baghdadi nationalists after the 1990/1991 volcano. As the armada is being readied we will expect more and more televisual encounters with Mr. Albert Yalda but the thing we have all to be sure of is that the Assyrian march has already begun and the Assyrian ultimate freedom and liberation is real. "What future will be better for Assyrians, a state together with the Kurds (where since 1992 many churches have been built) or a future together with Saddam Hussein and the dictator of the Baath party?" In Arabic a saying goes like this "he who's hands have been stung by a snake, would be even afraid to pull a rope". Assyrians wariness toward the Kurds is inherited in our folklore and culture. It all comes from first hand experience. I will not tell you things that I heard from other Assyrians, but this is a small experience that my family went through, it might illustrate to you the whole picture of our Assyrio-Kurdish coexistence in the past 50 years. In a time when my family was still living in their village in north Iraq, a group of Kurdish armed men broke into our house in the morning. With their guns pointing at my family and with one of them holding his gun at my father's head he asked him "where are you hiding your money?" last night drinking tea with us." And the next thing my father noticed was that the first thing they stole was the big teapot (called Semawar: a large decorated traditional tea making pot). The same one the Kurds drank from, just the night before at my father's house. And of course it was not the only thing stolen. They stole every thing except the clothes they were wearing. The whole Assyrian inhabitants of that village and the surrounding mountains and valleys were looted. And yet again in the long road of suffering, a new chapter began of Diaspora and hardship of our Assyrian nation. In simple words, what this story illustrates is, there is yet to be found trust and good deeds coming from the Kurds toward the Assyrians. When this looting of my house took place, the time was the Kurdish uprising against the Iraqi government, and who were the first people to pay the price for it? Yes Assyrians. Another example is that we Assyrians and Kurds rightly accuse Saddam of Arabization. In the meantime, [the Kurds] in the face of all of this, are naming the land of our Assyrian ancestors, Kurdistan! Couldn't this be called Kurdinazation? I don't know about Mr. Federico, but if he owns a home in north Iraq he doesn't need to go far to dig, only dig in your backyard you most probably will find Assyrian artifacts not Kurdish! This land belongs to those people who rightly call it Assyria, but we are happy to share it as long as you return my grandmother's Semawar! And we will wait and see if you return our good deeds with the same, as it takes less time to demolish those churches build after 1992 then it takes to build them. The other part of your question, which was: "I also would like to know what Mr. Tariq Aziz is doing for Assyrian people and if he's an Assyrian since he's been in the Saddam Hussein government?" I am surprised by your statement (July 22) that Naji Sabri and Tariq Aziz are Chaldean-Assyrians. What evidence or proof you have to support your claim? Tariq Aziz is more Arab than Arabs. He may be from a Christian family but in practice he is not a Christian. He has never been seen going to a church. He has dedicated all his life since he was a youth to the Arab cause and to the Arab Baath Socialist Party. As to Naji Sabri al-Hadithi, he is Arab and not atall Chaldean-Assyrian. His son`s name is Mohammed. It is true that Naji Sabri is sympathetic to Assyrians. This is because when he was a child he was sick and his family had given up any hope that he would live. His father, Sabri, knew an Assyrian male nurse in KT Station hospital (Iraq Petroluem Co.) which is cloe to Haditha village. He took the Assyrian to his house to see the child. The Assyrian opened the closed windows of the room, unrapped the child from the clothes he was dressed, gave him a bath. He continued nursing him for several days until the child survived into a strong and tall youth. When Naji was Director of the Iraqi Culture Centre in London he employed Assyrians. And when he was Chief Editor of The Baghdad Observer English language newspaper he employed Assyrians as typists, proof-readers, editors and translators. You are not doing a service to this man by calling him Chaldean-Assyrian. Saddam Hussein hates Assyrians though he employs Assyrians in his household as servants because he does not trust his own people and furthermore Assyrians are disposable - who will cry if an Assyrian disappears. I was just wondering if you are going to setup a paper issue of Zinda Magazine. I really love the online issue and I am sure it is much cheaper then printing it out, but im sure there are many people out there like myself who don't mind paying a monthly fee for the magazine. With advertisements you can make the paper much more inexpensive on yourselves. I am sure there are many Assyrians who do not have a computer or who cannot afford to purchase a computer and Internet service, and this way your paper would get more readers. Keep up the good work Excellent job. A TURKISH VERSION OF "THE EMPERORS NEW CLOTHES"
In 1999, Turkey was accepted as a EU candidate and would be allowed to begin admission negotiations if the country would comply with the Copenhagen criteria. On August 1st 2002 Turkish Parliament, drawing great foreign attention, accepted the so-called "fourteen-issue program". Some international politicians have called this program an important step forward for Turkey. Those who have expressed such views cannot possibly have given this issue much attention. The program is designed in an insidious way, aimed at misleading the European public opinion and European politicians. - The congregation must prove to the Minister Council that there is a need and an economic basis for such ownership, and the Minister Council has to give its approval for such ownership. - The congregation may not in any way establish contacts with foreign help-organisations without the approval of the Ministry of the Interior, the Foreign Ministry and the Minister Council. Considering that these regulations only apply to non-Muslims (ownership of real estate for Muslims is free from such restrictions), the regulations must be considered strongly discriminating. Since 1936 hundreds of buildings have been confiscated by the State and used for other purposes. There has been no mention what so ever of returning the properties confiscated under the law of 1936 to their rightful owners. Regarding the right to education in one's mother tongue, it has been said that the new program now establishes this right for the Turkish minorities. It is correct that such a principle right has been accepted, but the restrictions surrounding it make it practically useless. All now implemented rights are limited by the same extensive restrictions and also of the general restriction that none of these rights may be used in conflict with the unity and safety of the nation or other "holy cows" in Turkey. It has also been pointed out that Turkey has abolished the capital punishment. The amendment is however only valid in peacetime. This is in conflict with the European convention of human and civil rights. None of these amendments are protected by the constitution; they are only ordinary acts of legislation, which can be abolished at any time. The granting of permission to exercise the rights in each case has been put in the hands of the highest political power. The amendments have been so thoroughly surrounded by conditions and restrictions, that, as a result, it seems highly unlikely that any real amendments at all was intended by the Turkish side. Turkey has during all years delayed necessary changes and even the so-called fourteen-issue program is in reality such a delay. 7th of August commemorates the atrocities of the 1933 massacre of the indigenous Assyrians in Assyria (Today known as northern of Iraq) namely in the 'Simele' province. The massacre was perpetrated by the Iraqi military to implement the government's pan-nationalist ideology of Arabization and to annihilate the indigenous national minority in Iraq; thus creating a homogeneous Arab country. the Assyrian massacre was espoused by the British foreign office. Which extended its covert support by supplying the Iraqi military with RAF warplanes to further endorse this horrific action! and in so doing, Britain betrayed the Assyrian people that threw their lot and joined the western allies to fight the fast spread of fascism; thus the foreign office ignored its moral responsibility and duty by leaving the Assyrian people to their fate in order to further pursue their imperialist policy and interests in the oil rich country. Alienation, Oppression, Exploitation and forced Assimilation of a people, extortion and foreign occupation of a land, are experienced daily by the Assyrian people living both under the Baghdad regime, ruled by the brutal dictator, or the provisional parliament in the north governed by a group of feudal bandits. We oppose any military assaults that further worsen the suffering conditions of our brethren in the larger Iraqi community, and only serve the oligarchy and foreign imperialism, however we endorse any serious approach that aims to resolve the Iraqi question with core and democratic solutions incorporating; the emancipation of the Assyrians in their ancestral land Assyria, with the right to self-determination. GLORY TO THE ASSYRIAN MARTYRS! I feel very honored to have the opportunity to give this eulogy and to say a few words about my father-in-law, Alfred Caram. I'd like to start by acknowledging many members of his family here today. His mother, Judith, his son Alan, his daughter Lisa - my wife, his sister Vivian and brother-in-law Bob, his sisters-in-law Joan and Lois, nieces Elizabeth and Helen and nephews Homer, Russ and Chris. Those unable to attend include Al's brother Raymond who is currently out of the country, his niece Donna, nephew Scott and his 4-year old grandson Cameron, who Al loved very much. Together, we thank you for being here today to share in this warm celebration of his life. He was a special and kind human being who valued the simple things in life like family, friends and his faith. Alfred was born to Judith and Jerry Caram, both of Iran, on August 19th, 1928 in Yonkers, New York. One year before his birth, Judith and Jerry were married at St. John's Episcopal Church also in Yonkers, which was the church where Al was baptized and attended until he moved to California many years later. He was named Alfred, after the then Governor of New York, Alfred Smith. His mother often claimed that Al was the prettiest baby in the neighborhood. She was probably a little biased but proud no less to show off her first born who had dark hair and very light skin. She once entered him into a baby beauty contest where he took 1st prize. The Caram's had a family friend, Gabriel, who was so impressed by Alfred's childhood beauty that he actually wrote poems about him in the early 1930s. When Al was 3 years old, his brother Raymond was born and following Raymond 7 years later, Vivian, his sister was born. Al was always full of life as a child and as a growing boy in Yonkers. He faithfully attended St. John's Episcopal Church; went to grade school at PS 19; attended Hawthorne Junior High School and later graduated HS from Yonkers High in 1946. In addition to his family -- which included both his paternal grandparents and his maternal grandmother, Al had many friends. He was always close to his family - especially his paternal grandfather Baba. Al was honest and kind and yet always stood up for what he believed in even if his beliefs went counter to popular opinion. He was strong in his convictions - a characteristic that started when he was very young and remained with him all his life. He was not a pushover. His brother Ray remembers fondly his older brother Al as his "protector" recalling an incident when the neighborhood bully picked a fight with Ray and Al challenged the bully who was 4 inches taller, much heavier and 3 years older. In his youth, Al loved swimming, dancing and playing pool. He did not sit on the sidelines but participated in many of the beautiful things life had to offer. As a young adult, Al was an excellent pool player - often winning every contest. He also loved to be where the action was. One of his favorite memories was of seeing Frank Sinatra perform at the Paramount Theatre in Manhattan - Al was only 15 at the time. While his parents thought he was at school, he went down to NY City with his best friend, Billy Sargis to see the famous singer, who was a virtual unknown at the time. would fan out and continue to urge Al to dance more. He had a special love for tango dancing and at one point, had researched all of Valentino's tangos including the names of each and every step. When it was time to contemplate what Al would do professionally, he tried a few different things. He considered dentistry and attended dental school at New York University for 1 year. He also considered a career in law. As it turns out, he met an Assyrian chiropractor, John Yohannan, from Philadelphia and after talking with him many times, Al got excited about the chiropractic profession and decided to pursue a career as a chiropractor. His profession became an important vehicle for his compassion and interest in helping and healing people. He attended Chiropractic College in Long Island, New York in 1950 at a time when chiropractors in the state of NY were struggling to be recognized as viable doctors. He was a true pioneer in the chiropractic field and practiced chiropractic long before it became popular. Because NY state did not recognize the profession, Al could not get a license in NY so he proceeded to get one in Vermont. He would later obtain chiropractic licenses in three states - NY, Vermont and California. Al was very proud to serve his country in the US Army from 1953 to 1955. During this time, he was stationed in Marseille, France and in NY. A year after being released from the army, fate would intervene when in 1956, Al attended a large Assyrian wedding in Philadelphia. He did not know at that time that this affair would be a turning point in his life. For at that wedding, he would meet, fall in love and later marry Julie Aivez of Tehran, Iran. Julie had just arrived that same day from Iran and attended the wedding with her aunt and uncle. Vivian, Al's sister recalls his child-like excitement having met Julie for the first time. Six months later, in May, 1957 they were married at St John's Episcopal Church and lived happily in Yonkers for 22 years. While fate brought them together, a deep love and unique friendship, admired by many, kept them together for 37 very happy years. She was undeniably, the love of his life. In 1958, Alan, Al's first child was born and 2 years later in 1960, Lisa was born. Al was blessed with what he referred to as a "million dollar family." He remained a devoted and loving husband and father his entire life and would do anything for his family. His life was complete with his new family, his parents and siblings, many friends and a profession that he loved very much. American Association of Yonkers and was very committed to the welfare of the club always helping to raise money and to better the association. Although Al was born in the US and was "American" in every sense of the word, he was also extremely committed to the Assyrian people and to his Assyrian roots. Assyrians were often impressed by how well he spoke the language given that he was born in the US and they were always humored by his American accent. activities. He served as Chairman of the 1984 Assyrian American National Federation Convention and worked very hard for months to ensure a successful, memorable and profitable event. Over the years, Al was always there for everyone including his nieces and nephews and often acted as a surrogate father to his nieces and nephews on both his and Julie's side of the family. In addition, Al was a professor at the Palmer West Chiropractic College for 10 years and enjoyed mentoring young adults who were committed to practicing chiropractic. He was a natural teacher and was not only respected but well liked by both students and faculty. In 1990, Al moved with his wife and parents to Turlock and went into semi retirement. He enjoyed his years in Turlock and continued practicing chiropractic - again, helping people through his profession and in many other ways. Wherever he lived and worked, he felt compelled to make a difference. This was his mission in life. People, not things, were most important to him. In 1994, he lost his wife Julie - which was another turning point in his life, an unfortunate one, and yet his faith in God and love for and commitment to his family and friends helped him accept and heal from the loss. And in the last year and a half, despite his illness, which did take its toll on him, he did his best to remain positive and to give of himself. While it is hard to say goodbye to him and while we mourn his loss, we are here today to celebrate the life of an individual who made a difference in many lives and whose life had great meaning and purpose. Let us be comforted by Revelations 21 Verse 4 "And God shall wipe away all tears from their eyes; and there shall be no more death, neither sorrow, nor crying, neither shall there be any more pain; for the former things are passing away."